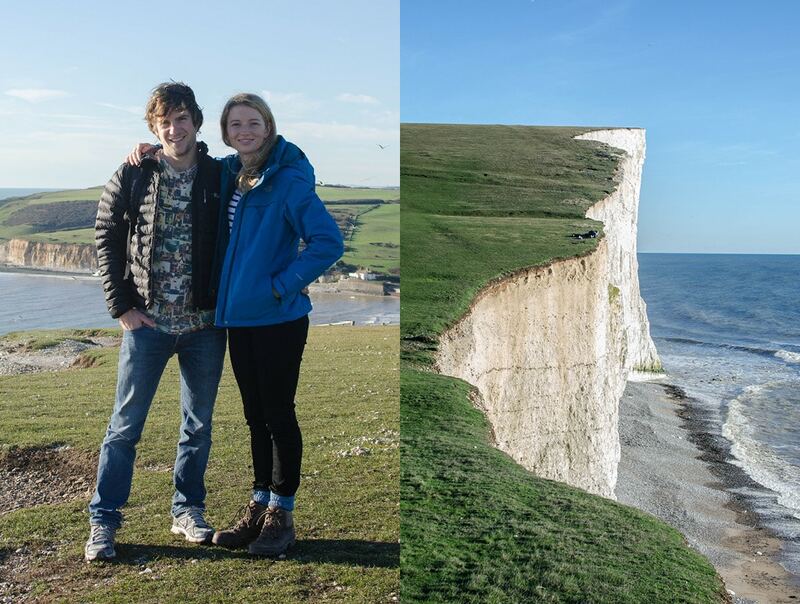 This one-day getaway from London to Seven Sisters Park in East Sussex is one of my favorites. If I need a day out of the city, this is the quickest route to breathtaking natural landscapes and fresh air. It’s easy to get to, and you don’t need a car. 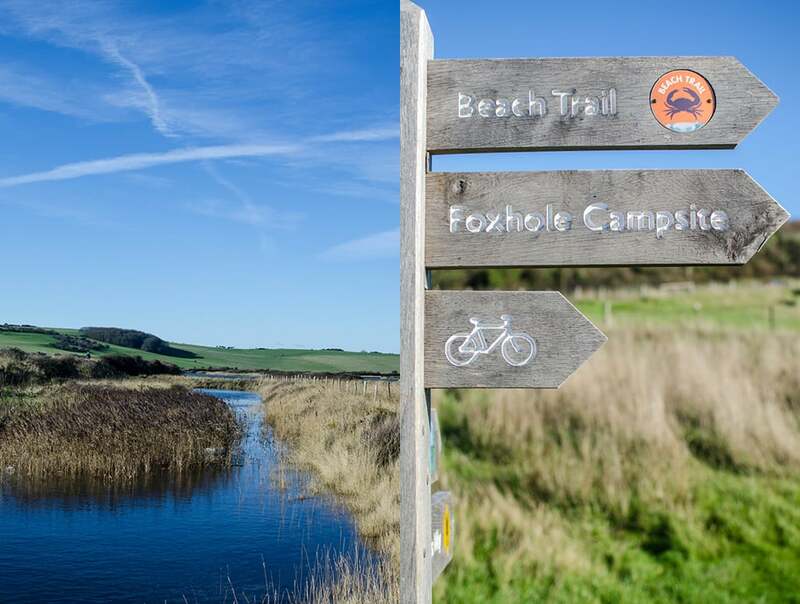 Just hop on a train and you will be on an East Sussex walk in little over an hour. You will return refreshed. 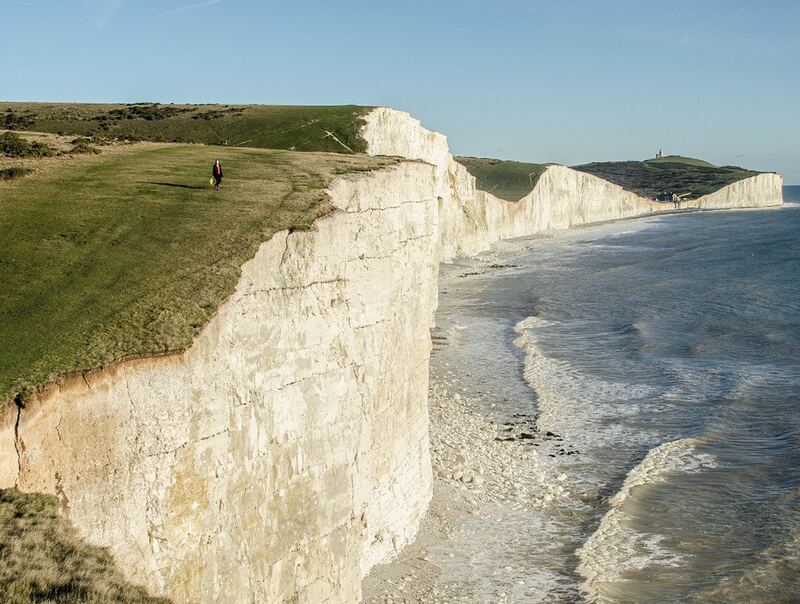 The name “Seven Sisters” refers to seven hills by the sea that have been incrementally eroded revealing massive white chalk cliffs. 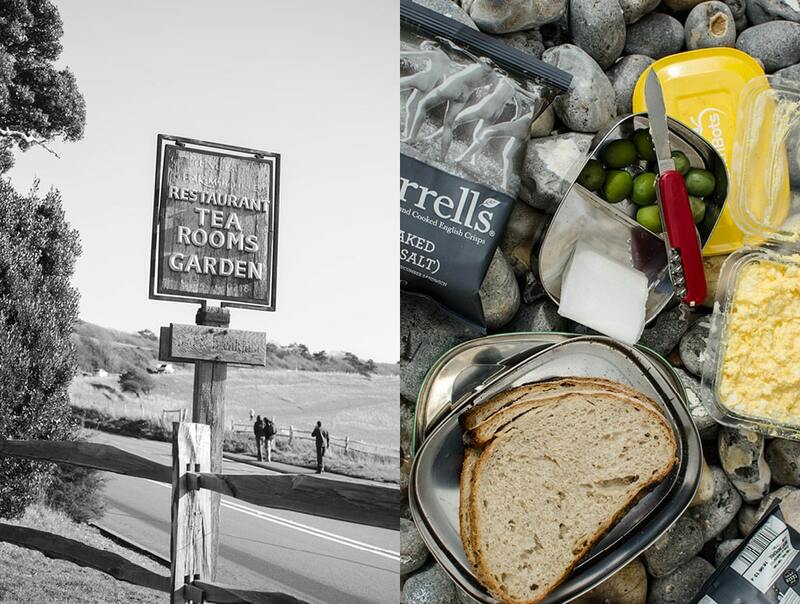 They fall between Cuckmere River and Birling Gap a valley that ends at the seaside. 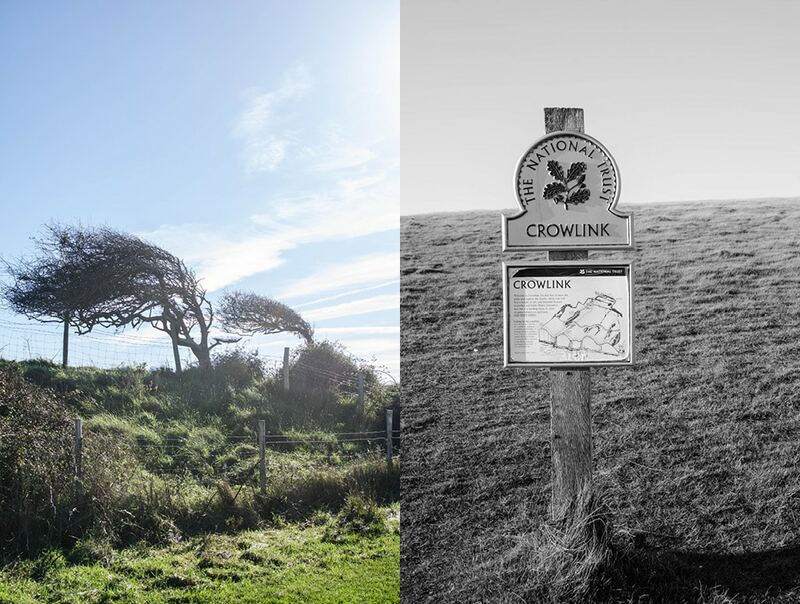 Access to the area is provided by South Downs National Park on the East and the National Trust on the West, and the trail that runs through it is known as South Downs Way. 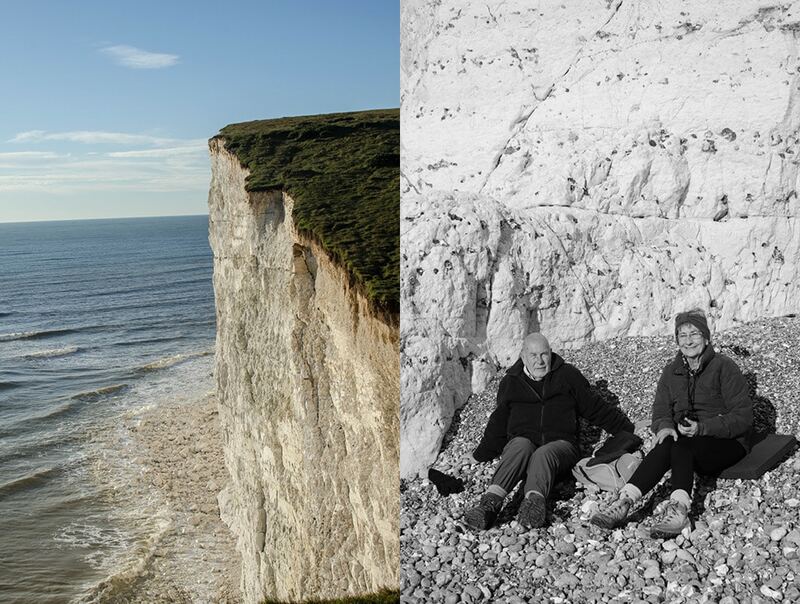 The cliffs are often used in movies as a substitute for their more famous “sisters” the white cliffs of Dover. 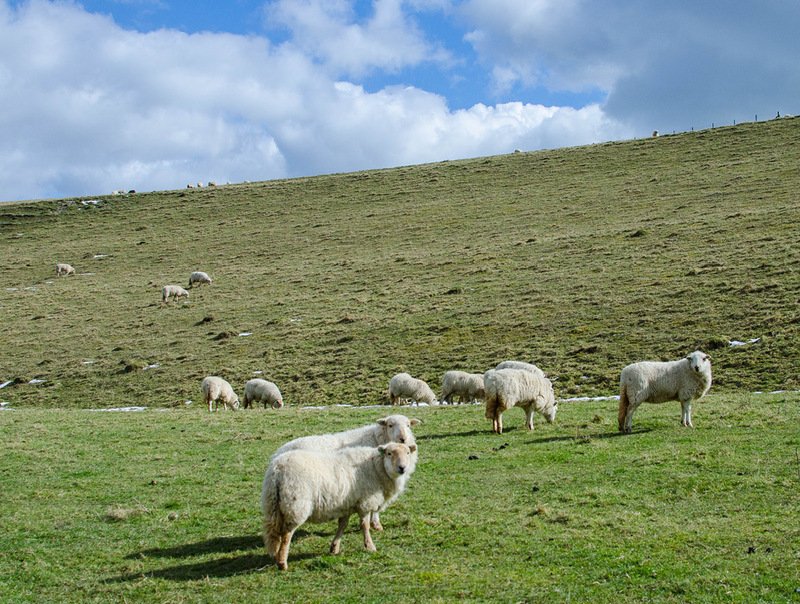 Development has infringed on the Dover cliffs and over time they have become less white. 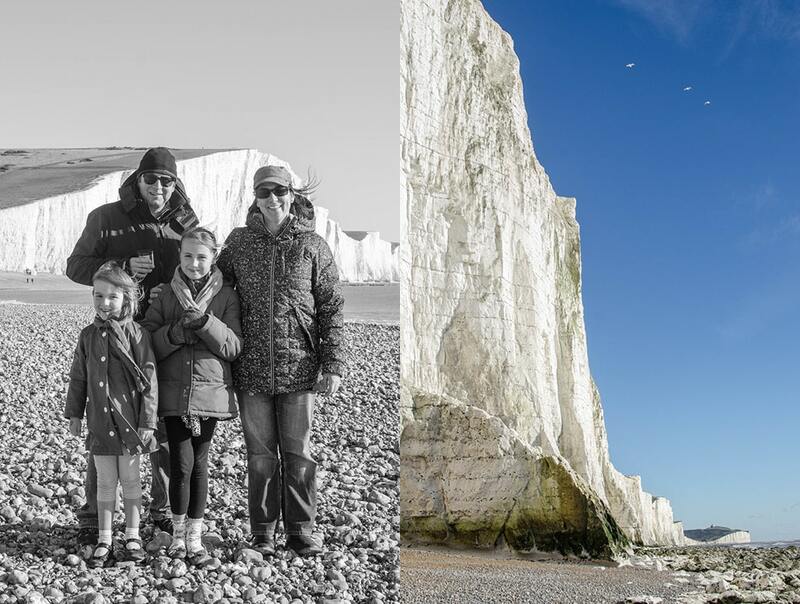 In contrast Seven Sisters are pristine, so if you are after an authentic, chalky-white, outdoors experience, this is a great choice. If you are just visiting London, this is a great day trip, a popular tourist destination. On most weekends, you will see an interesting mix of people; young, old, many families and tourists, all there to marvel at the breathtaking views. 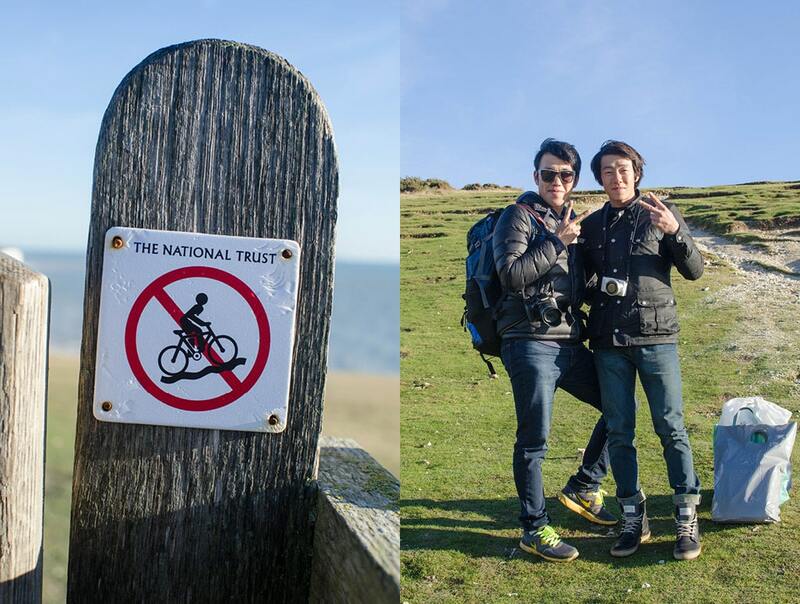 Strangely, the park is featured prominently in many Asian guide books and classified as a major London landmark. 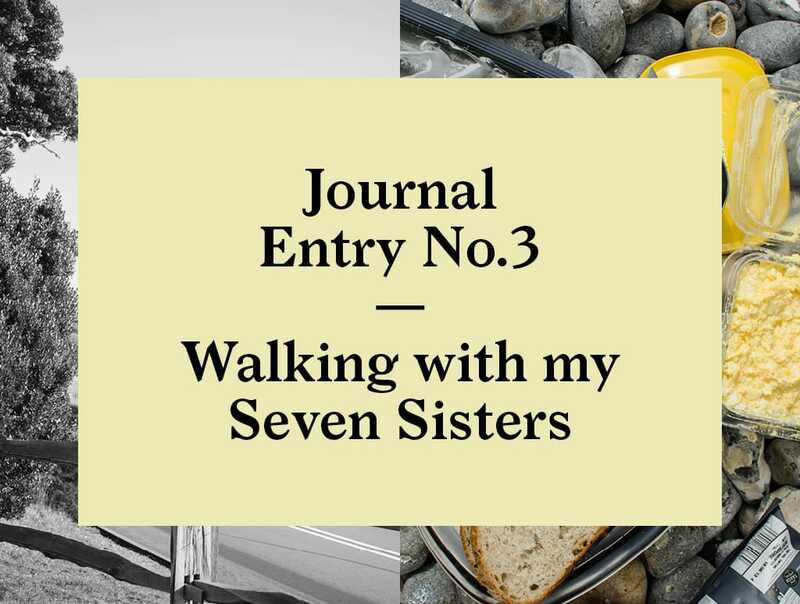 But if you ask someone in London about the Seven Sisters, most people will not have heard of it, thus, a good proportion of people walking the park are from Japan and Korea. So much so that the information provided in the visitors center is available exclusively in English and Japanese. I personally like to start on the west side and walk east, stopping at the beach before heading up the first hill. At low tide a strange landscape is revealed of white rocks covered partially in lush green seaweed. 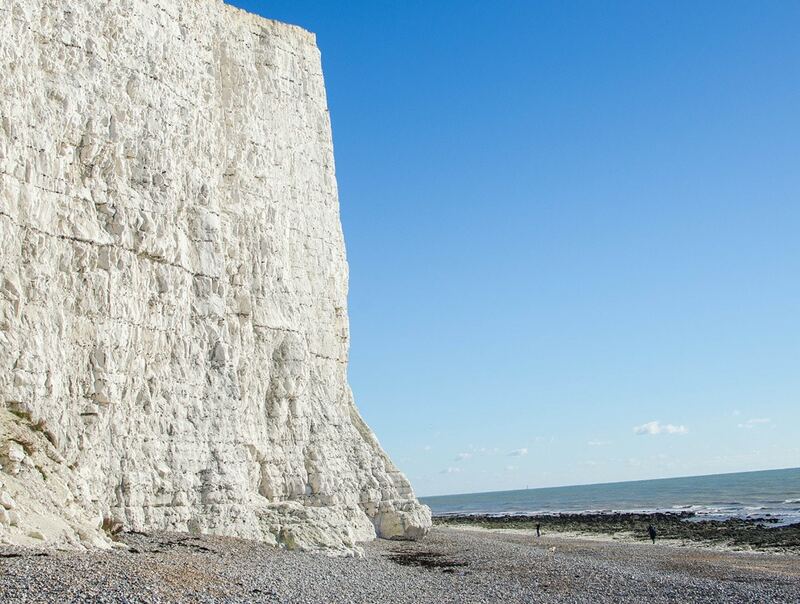 The sea continues to erode the chalk, releasing the stones that were trapped here millions of years ago. 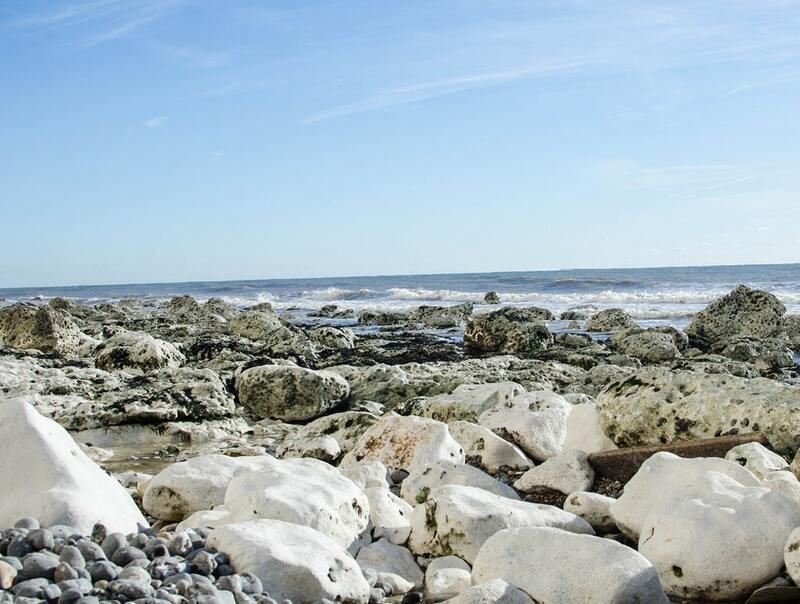 The “beach” is made of these stones smoothed over time by the waves. They are hard to walk on, but it is good exercise. As you ascend the steep hills, don’t forget to turn around and take in the breathtaking 360-degree view of the valley below, with the sea and the cliffs in the distance. 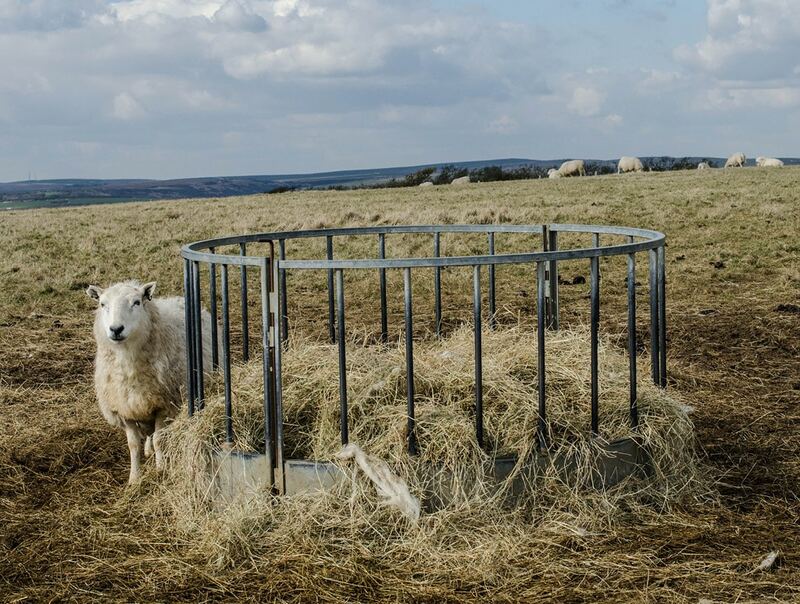 I recommend bringing a picnic lunch. 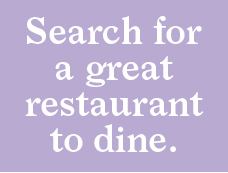 There are many lovely spots along the way with unbeatable views that will make for a memorable meal. At each end of the walk, you will find convenient resting places. On the east side is the Birling Cafe, and on the west, next to the County Park Visitors Center, is a lovely tea room. 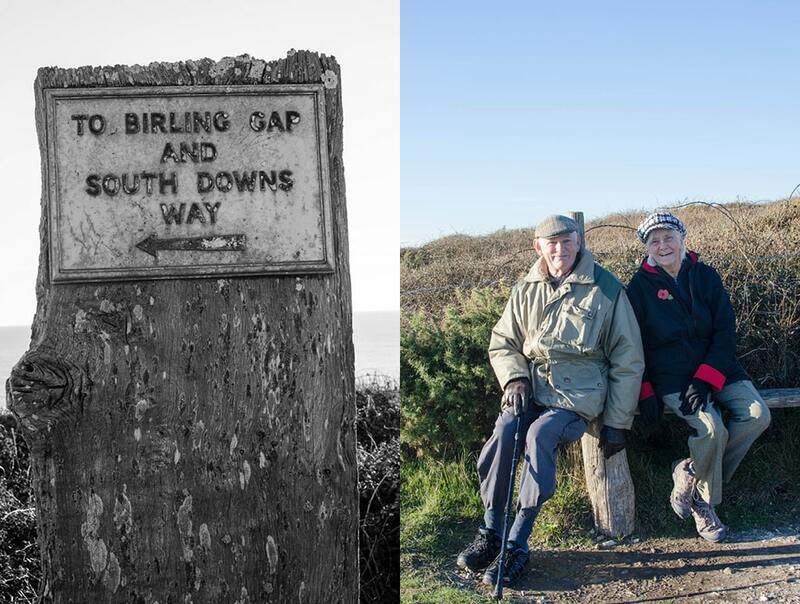 For the ambitious walker South Downs Way continues beyond Birling Gap to the town of Eastbourne. If you take that in, it will about double the length of your walk. If you are anything like me, heading home by train or car at the end of the day, you will feel refreshed and ready for a new week. 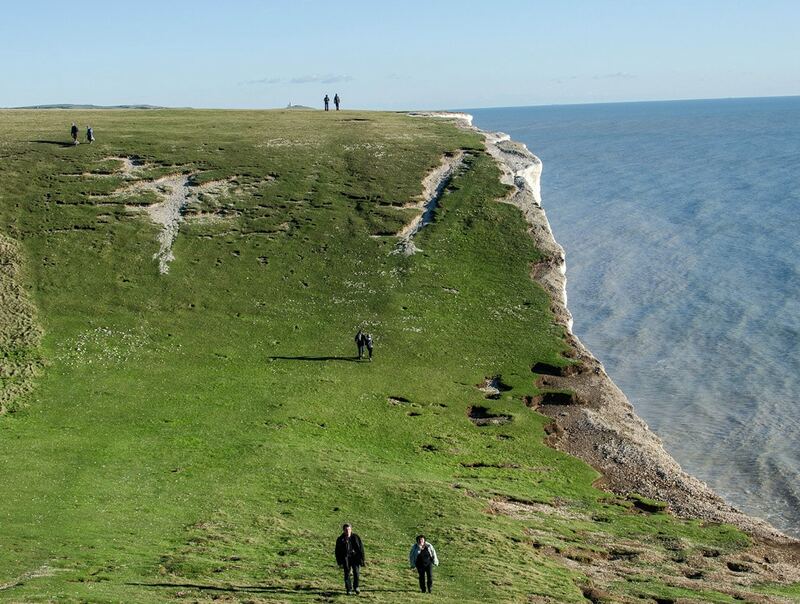 Planning a visit to the Seven Sisters? Here is the current weather and what to expect for the next few days.